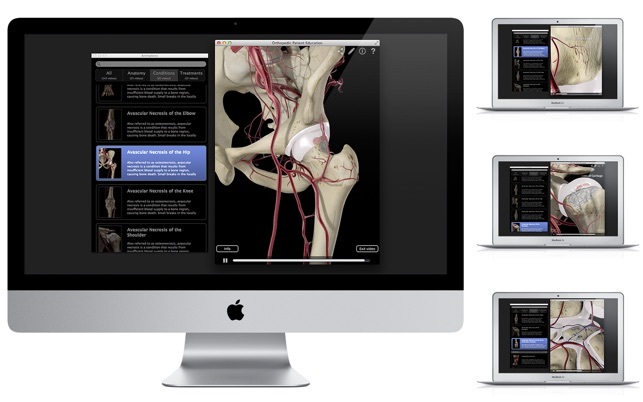 This award winning app is an animation based patient education app for healthcare professionals to effectively communicate anatomy, conditions and treatments to patients. The app covers a variety of conditions such as joint diseases and disorders, as well as joint physiology. 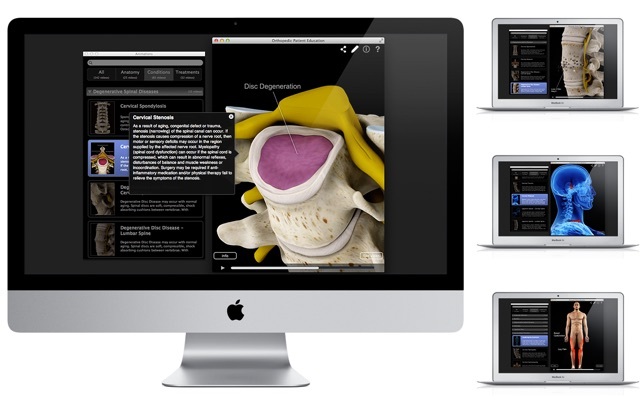 To see a video of the app in action - please press the video on this page : http://applications.3d4medical.com/orthopedic_education.php or press the support link below. Included within the app are over 140 beautifully detailed animations that allow users to effortlessly search via category. Further description of each animation is also given in a quick and easy to use reference index. The app allows healthcare professionals to pause and then draw on any animation with the pen tool to highlight and annotate specific images. The images created during consultation can then be sent to the patient via email. Treatment: Arthroplasty (2), Ankle-spur Removal – Arthroscopic Surgery, Tibial Cartilage Repair – Arthroscopic. Treatment: Elbow Arthroplasty (2), Elbow Spur Removal – Arthroscopic Surgery, Trochlear Cartilage Repair – Arthroscopic. Treatment: Arthroplasty (2), Acetabular Cartilage – Debridement, Acetabular Cartilage – Delamination Repair. Treatments: Arthroplasty (2), Meniscus Debridement (Arthroscopic), Anterior Cruciate Ligament Reconstruction - Patellar Graft. Conditions: Avascular Necrosis, Bursitis – Subacromial, Rheumatoid Arthritis, Rheumatoid Arthritis. Treatments: Arthroplasty (2), Rotator Cuff Repair – Arthroscopic. Treatments: Laminectomy – Lumbar Spine. Treatments: Arthroplasty (2), CTS – Repair. 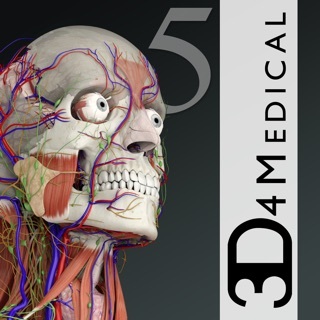 To see a video of the app in action - please press the video on this page "http://applications.3d4medical.com/orthopedic_education.php" or press the support link below. High Sierra compatibility has been added. 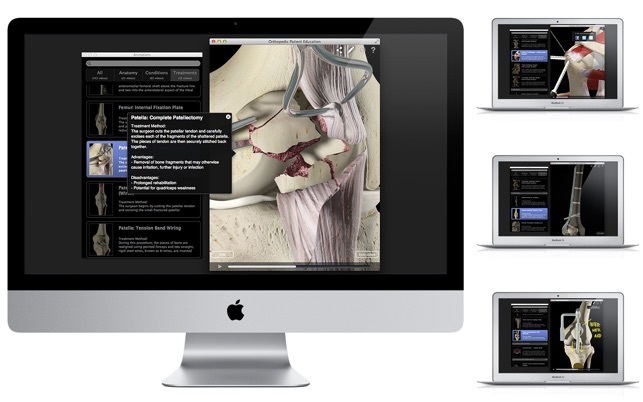 I'm so pleased to have this patient education tool available on my Mac. It's incredibly helpful to have video for patients to watch as it really opens lines of communication and makes for more productive consultation sessions. The selection of conditions available to choose from and their quality are excellent. I'm looking forward to continued updates.